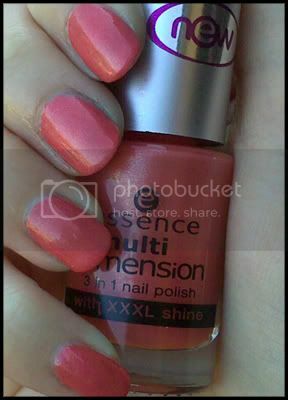 NOTD: Essence Object Of Desire - Cherry Colors - Cosmetics Heaven! I get bored of colored nails pretty quickly. Especially if they're in a green/blue shade. New color! One layer! Essence Object Of Desire. I had a bit of problem with this one, on the other hand it got somehow really dense, blah! Otherwise it's pretty cool. I must say that Essence has improved it's nail polish formula. The polishes are more pigmented. And the price is still the same!